Featured Music, Etc. : “Dream” by Sergei Novikov and “Abigail’s Tale” by Romantic Mammal. Patagonian Dreams… including pics from Pete and Carlos’ trip to Patagonia some years ago, as well as pics from Pete’s trip to Bonaire. 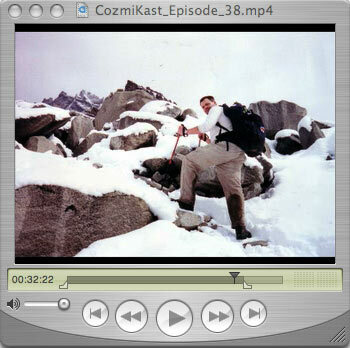 This second CozmiKast vidcast shot and edited by Skip Hirtle.